National Institutional Ranking Framework (NIRF) by MHRD is a methodology for ranking of academic institutions in India. President of India, Mr. Ramnath Kovind will announce rankings for best university, engineering, law, MBA, architecture, pharmacy, colleges etc. on 8th April 2019. People can now check the parameters, guidelines and complete list (top 100) at nirfindia.org. 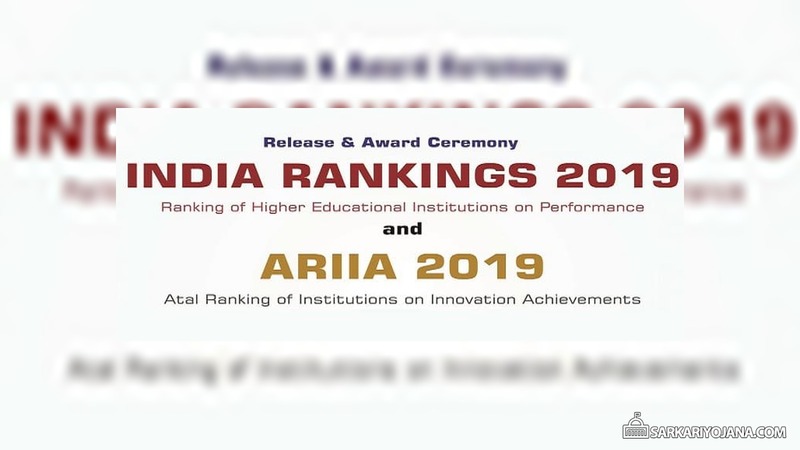 Check All India Rankings 2019 & ARIIA 2019 here. Last year i.e in FY 2018, the HRD Ministry had released the NIRF Ranking on 3 April 2018. Overall, the best institute was IISc and the Indian Institute of Technology (IIT). All the institutions follows certain parameters to feature in the NIRF Ranking list. MHRD NIRF India Rankings of universities / colleges and top institutions is a best process to provide competitive environment for institutions and thus excel in their fields. The ranking is given on the basis of 5 parameters namely teaching, learning and resources, research & professional practices, graduation outcomes, outreach and inclusivity and perception. Previously, NIRF Rankings 2018 was announced on 3rd April for the 9 categories which can be checked using the link – NIRF Ranking 2018 List. In the overall category, IISc Bengaluru was adjudged the best institution while IIT Madras follows it. NIRF framework outlines a methodology to rank institutions across the country. This ranking methodology is based on the overall recommendations and broad understanding arrived at by a Core Committee set up by MHRD. Check NIRF Ranking Methodology & Metrics to understand the broad parameters for ranking various universities and institutions. The release and award ceremony of the India Ranking 2019 and Atal ranking of Institutions on Innovation Achievements or ARIIA 2019 will take place at Plenary Hall, Vigyan Bhawan, New Delhi. President of India, Shri. Ram Nath Kovind would announce the list of winners.